HMD Global and ZEISS today jointly announced the signing of an exclusive partnership that aims to set new imaging standards within the smartphone industry. This long-term agreement builds on the shared history and expertise between ZEISS and Nokia smartphones. With a joint ambition to advance the quality of the total imaging experience on smartphones spanning the entire ecosystem from software, services, through to screen quality and optic design, the partnership will see ZEISS and HMD Global co-develop standard-defining imaging capabilities and will bring the ZEISS brand back to Nokia smartphones. This pledge to constantly improve consumers’ imaging experience is a reflection of the shared values between both businesses – a single-minded commitment to quality, true craftsmanship and a desire to improve real life experience. The relationship between ZEISS and Nokia phones began more than a decade ago, and is founded on a shared passion for innovation and always delivering the best for the consumer. 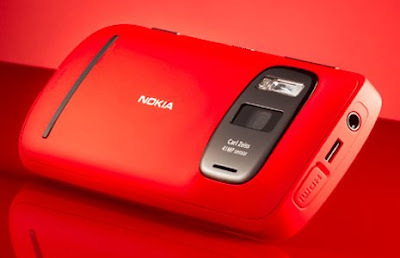 The past collaboration saw ZEISS and Nokia phones driving technology innovations such as the world’s first multi-megapixel mobile phone and many more standard-setting devices, from the Nokia Nseries to those featuring Nokia PureView technologies. This renewed relationship is a long-term commitment to building on that technology innovation over the years to come. This exclusive partnership with ZEISS is further proof of how HMD Global is collaborating with the best and most respected in the industry to drive perfection throughout every aspect of the phone design and build, and is a commitment to consumers to deliver the ultimate imaging experience possible on a smartphone.Smartphones with ZEISS optics coming this year.